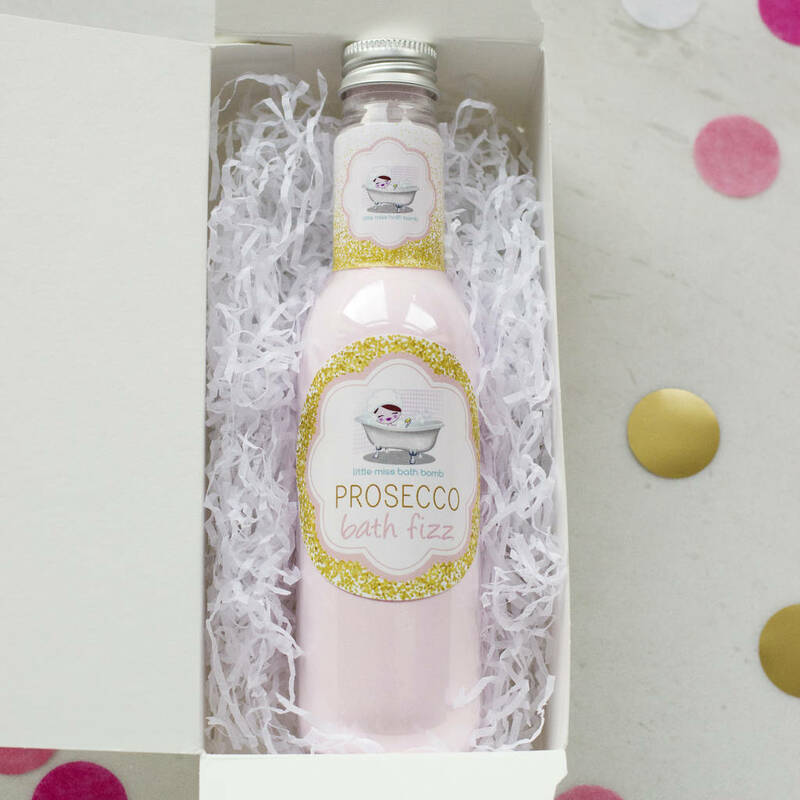 This pale pink powdery bath fizz is a perfect 'party girl' bath treat. 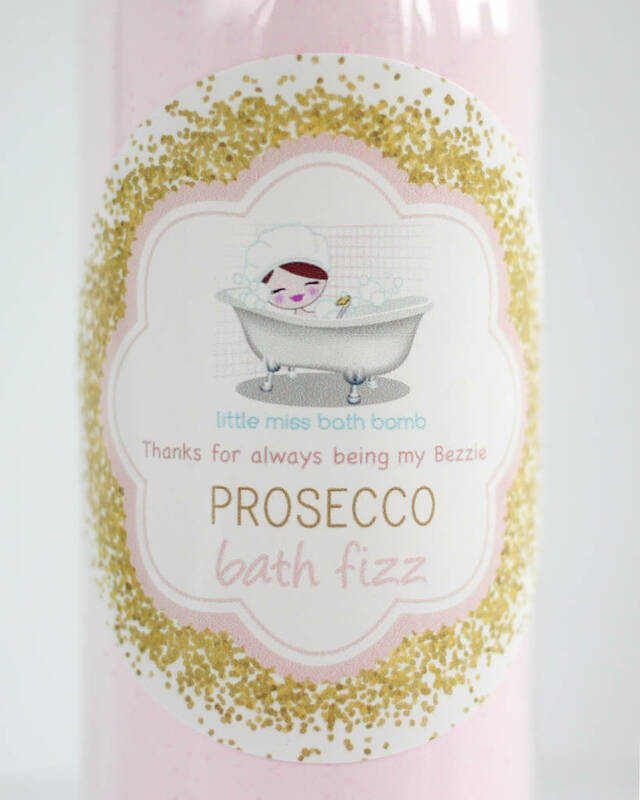 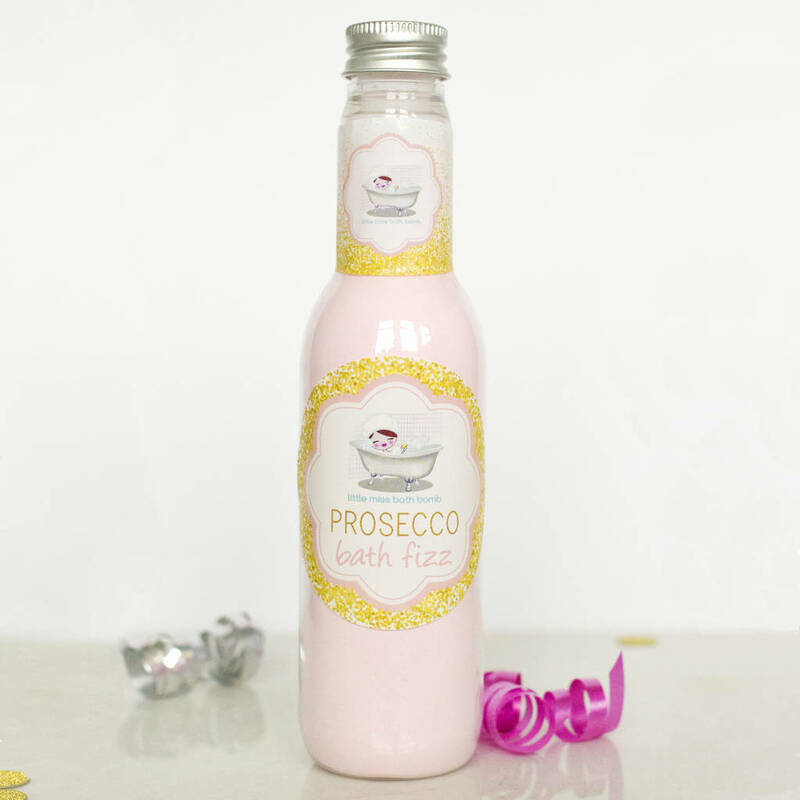 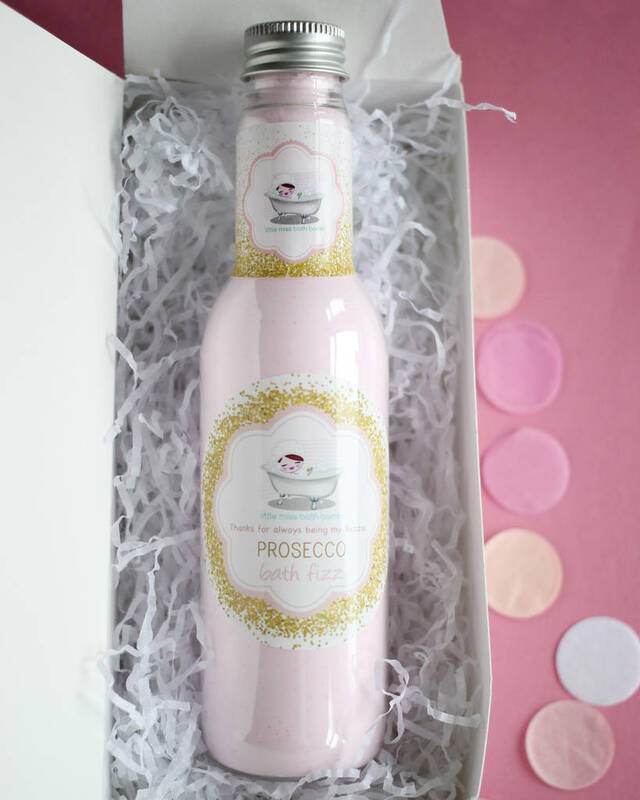 Prosecco Bath Fizz really is a bottle of fizz... for the bath. 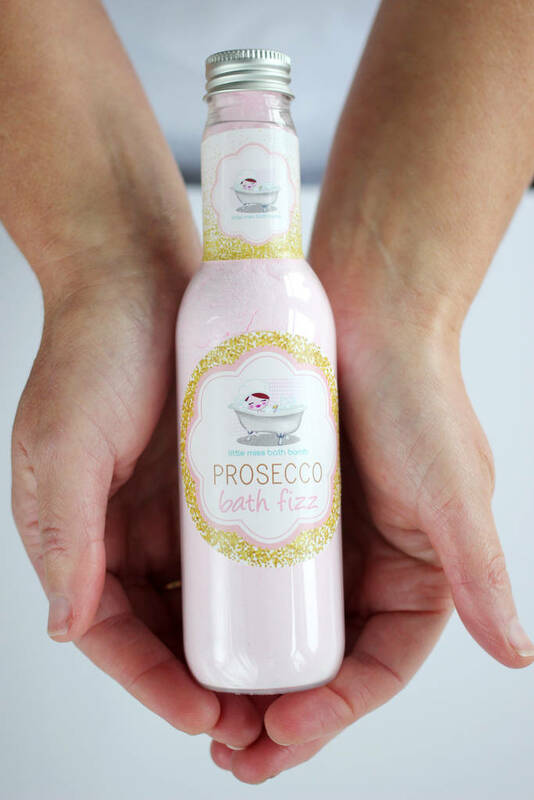 Sprinkle to warm running water to add a touch of gold stars to sparkle which slowly absorb, leaving you to enjoy a fun, bubbly Prosecco fragranced soak. 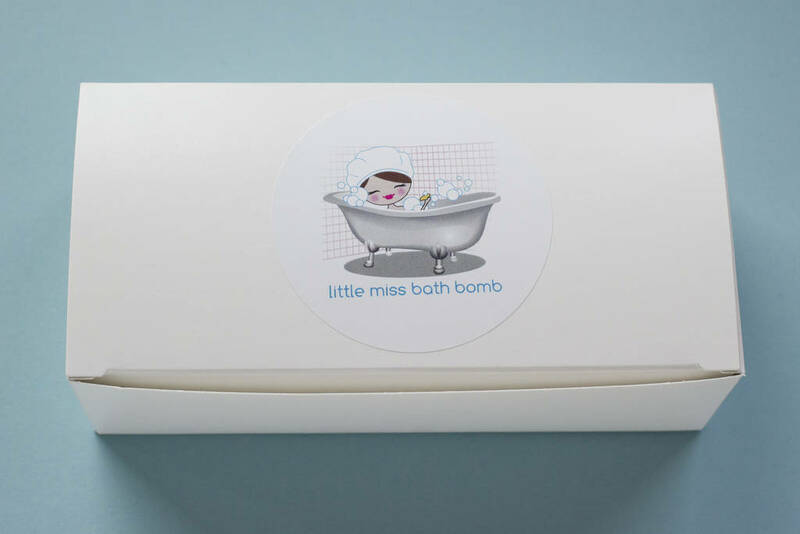 All 'Gifts By Little Miss' products are SLS free which is kinder to your skin.